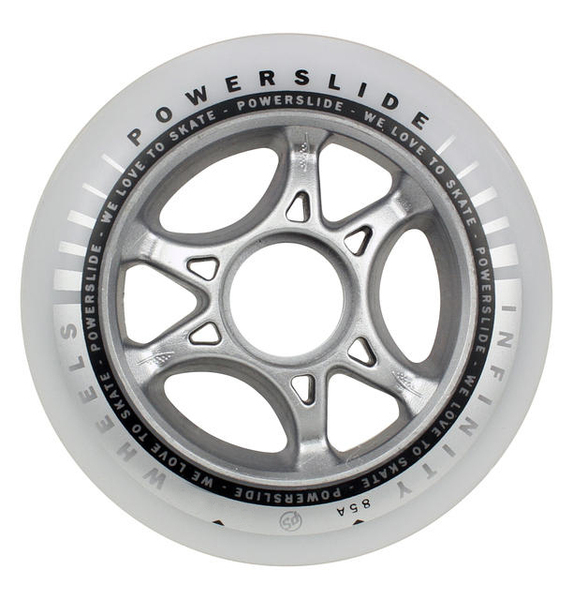 The Infinity II inline skate wheel from POWERSLIDE is a good choice for fitness skating. It offers a great compromise of speed and durability at a great price. The core gives enough stiffness to bring transfer the power to the surface. With its race profile a fast and comfy roll is guaranteed.